TheBlueGuerilla: 'Incompetent & Naive' - Uproar As KCL Tory Leader Backs Labour Candidate For University President Role. 'Incompetent & Naive' - Uproar As KCL Tory Leader Backs Labour Candidate For University President Role. KINGS COLLEGE LONDON (KCL) Conservative Society President Ben Judge has sensationally expressed support for the socialist Labour Party member & friend Robbie Hirst in the upcoming KCL Student Union (KCLSU) Presidential Elections, TBG can reveal. 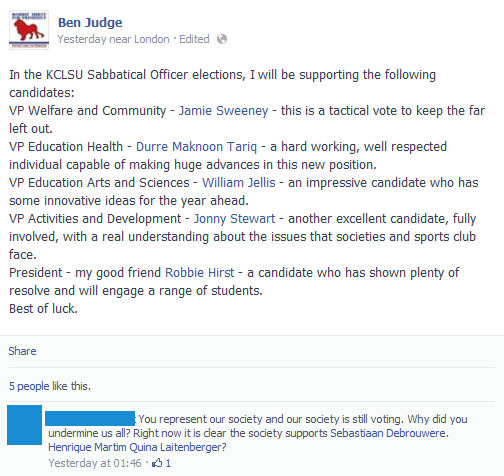 The "esteemed Boris Johnson impersonator", KCL Tory President Ben Judge, made the social update in a personal capacity but has been attacked by his own members for showing "clear disregard to his society", after they overwhelmingly voted to support the endorsement of incumbent Sebastiaan Debrouwere. Conservative Future (CF) National Leader Oliver Cooper took to the airwaves and told dismayed KCL members that he had, "discussed KCLSU briefly with Ben the other night (my dad's a KCLSU trustee, so I have a passing interest)." Cooper went on - "I made it clear that national CF does not force Conservative societies to do things. Personal endorsements should be issued sparingly, as some may infer that it means the society's endorsement; if he were to endorse a Nazi or a Stalinist or otherwise impact on CF's standing, I might object, but I don't think there's much risk of that in this instance." The decision to back a socialist by the KCL Tory Leader and indifference shown by the National CF Chairman seemed to infuriate young Tories, one balled - "He posted in the (KCL Association) group for members to vote then posted this, is that not the epitome of stupid?" "You (Ben Judge) represent our society and our society is still voting. Why did you undermine us all? Right now it is clear the society supports Sebastiaan Debrouwere. Ben is a person who has allowed the heading of our society to get to his head. He makes a mockery of it and I know a number of people disillusioned because of this. 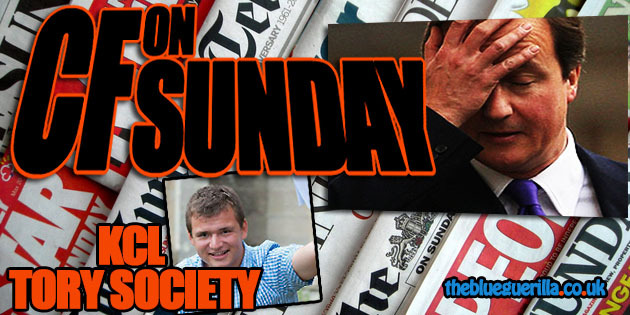 It has become the Ben Judge society not the King's College London Conservative Society [sic]", they concluded. Another member told TBG - "He couldn't give a sh*t about the society, only Ben judge. It may as well be the Ben judge society. Incompetent, naive moron who somehow believes in his own thunder. Embarrassing really." A senior & influential KCL Tory slammed his Leader and told TBG - "Ben showed his true motives when he originally posted that he was supporting Robbie solely because he was 'a good friend'. He then however edited the wording and quickly conjured some reason in an attempt to hide his personal deference to Robbie. They're close friends and personal political partisanship shouldn't have anything to do with it." The KCL Student Union elections are set to take place between the 3rd and 6th of March. "one balled", "they concluded", "another member told"... Do you realize all of the comments are from the same exact person? If only perpetually thirsty former VP Katherine Gray had run for President last year none of this mess would have happened. Still, at least it's not Yazdan in charge! Second rate tories at a second rate university. I suppose they should be allowed to have run before they all get jobs in outbound telesales. EXCLUSIVE: Would-be Labour MP Makes Legal Threats Against his Own Party. EXCLUSIVE: Tory Youth Deputy Sarah-Jane Sewell May be Ditched & Told Not to Run in Upcoming Election. EXCLUSIVE: Oliver Cooper Elected Conservative Future National Chairman. Tory Youth Women Say Time is Right For First Ever Elected Female National Chairman in Open Letter. LGBTory Chairman & members back Holmes for Tory Youth Leader. EXCLUSIVE: Robinson is Back in Sparkling Tory Youth Role. EXCLUSIVE: Tory MP Stewart Jackson talks to TBG mid-election day. George Galloway MP walks out on debate because orator is Israeli. Labour Council Leader calls disabled voter 'Difficult' and labels another 'Troublemaker'. EXCLUSIVE: Wilson/Walker 13 - Oliver Cooper attack ad. ITV Journalist arrested in Beijing. EXCLUSIVE: Starbuck makes a G&T. TBG on The Wright Stuff. The shocking regime of China. 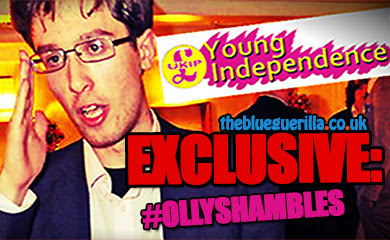 Tory Macfarlane Bids For NUS National Executive As UKIP Youth Chairman Runs For President. Tory Youth National Chairman Praises CF's James Wharton EU Referendum Bill. EXCLUSIVE: London's New Tory Social Action Diva Danielle Fleet. EXCLUSIVE: Hoffman responds to anonymous 'cowards'. 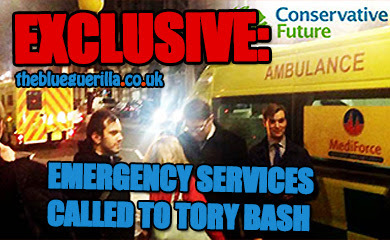 EXCLUSIVE: Tory Youth Leader candidate Paul Holmes invokes attack ads in Central London battle. 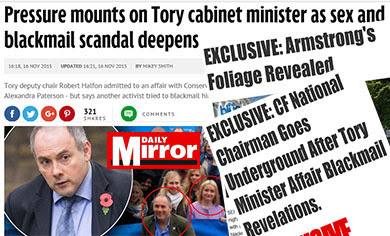 Former Tory Sleaze King Set For Dramatic Return. Mike Hancock MP Back In The News. 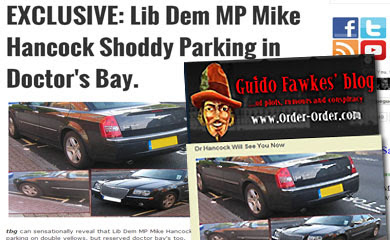 More Illegal Lib Dem Parking. Tory Poll Surge is Just The Start. UKIP Do Not Back Gay Marriage. A Budget for Doers, Savers and Makers. HS2 Rail Project Should Be Welcomed And Extended. Labour At War Over EU. Now Hancock Jnr Claims He Was Assaulted. Who Does Red Ed Miliband Think he is Kidding? EXCLUSIVE: [PIC] Inside YBF Rally. Union Boss Bob Crow Dead Aged 52. MP Alleged 'Stalker' Pleads Not Guilty. Four in Five Tory Members Want EU Referendum. Unite Union Cut Labour Party Donations By £1.5M. MP Issuing Statements From Hospital Bed? Tory MP Set To Hold His Own EU Referendum. www.theblueguerilla.co.uk ©. Powered by Blogger.